It has been an eventful season so far in the Premier League. After 14 rounds of games, a clear picture has begun to emerge about what the table may look like come June 2019. As expected, defending champions, Manchester City are leading the pack. Pep Guardiola's team has been scintillating without having to get into 2nd gear in most matches. These include ties against fellow supposed "Big 6" teams like Manchester United and Tottenham Hotspur. 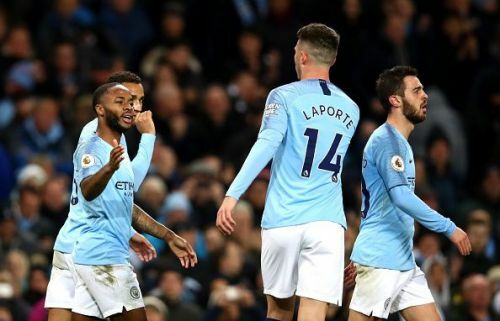 Liverpool has continued to hang on to the Cityzens' coat-tail despite an attack that has not been firing on all cylinders. Arsenal and Chelsea under new managers; Unai Emery and Maurizio Sarri have also been doing very well. The promoted teams; Wolverhampton Wanderers, Cardiff City, and Fulham have found the going tough despite a great start by Nuno Espirito Santo's Wolves. The Cottagers i.e. Fulham are last on the Premier League table, a situation which cost Slavisa Jokanovic his job. As is common every season, some players have been easily distinguishable from the others. They have been at the forefront of everything good their teams have done so far. The Dutchman had been one of the best centre-backs in the Premier League during his days at Southampton. Following his world record (for a defender) transfer to Anfield, the 27-year-old has gotten even better. Identified by Jurgen Klopp as the man to fix what had become a recurring issue for the Reds, not even the German could have guessed the impact Van Dijk has had. 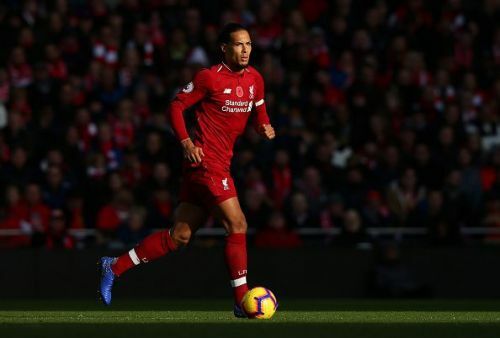 Unflappable, strong, brilliant in the air, aggressive and a great reader of the game, he has added steel and most importantly, organization to the Liverpool defence. Gone is the backline that was conceding lots of silly goals. With Van Dijk orchestrating, the defence is the meanest in the league with only 5 goals conceded in 14 matches. Youngster, Joe Gomez has grown exponentially playing alongside the Dutchman. The backline has been the main reason why the Reds have continued to stay close to Manchester City. If Liverpool is to break its Premier League hoodoo, Van Dijk would be a central figure.